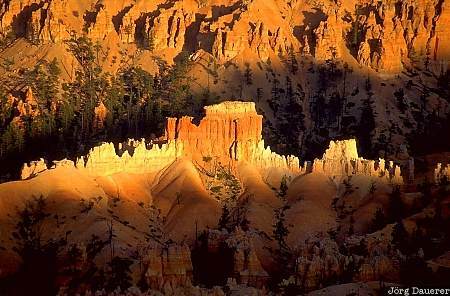 Low evening light accentuates the typical hoodoos of Bryce Canyon National Park against the background which is already in shadow. Bryce Canyon National Park is in southern Utah in the western part of the United States. This photo was taken in the evening of a sunny day in May 2002.